Your property is likely to be your single most valuable asset; therefore choosing a real estate agent to sell your property may be one of the biggest financial decisions you make. Don’t make it lightly. The difference between a good agent and a mediocre one (and bear in mind, you will pay the same for both) is thousands of dollars on the sale price of your property. A good agent will persuade a buyer to move from what they are prepared to pay, to what they are able to pay. Listing with a single agency creates a win-win situation for you and your agent. Your agent can then fully commit their time, resources and expertise to getting you the best possible price, knowing they will be compensated by their sale commission when their hard work and effort is successful. If you are with another real estate agency and your property isn’t selling you should ask yourself why. Is the price realistic or does it need to be reviewed? Have you spent enough time with your agent and committed enough resources to marketing? Ask yourself these questions before you approach another real estate agency. Clearly you want to obtain the best possible sale price. However, that optimum price is linked to market value - what buyers are prepared to pay. Price your house too high and you’re going to deter buyers. Buyers looking in that price-range may pass you over because they can get better value elsewhere. Those who want a similar property may consider yours out of their price range. The best strategy is to price your house at the right market value to begin with. How do you know what market value is? 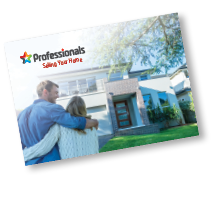 Your Professionals agent can help. They will access real-time house sale prices for similar properties in your area to give you a clear idea of the market situation. You also have the option of marketing without disclosing a price, such as auction or tender. Once again, your agent can advise you on the best strategy. Many sellers renovate their property before selling in order to add extra value. But before undertaking any major improvements, make sure that you aren’t over-capitalising. This is when the cost of your renovations is greater than any additional value created. If you are planning on making any significant improvements before selling, first get your real estate agent’s advice on how much extra value they are likely to add. This applies as much to commercial property fit outs as it does to home renovation. similar properties. Make it as attractive as possible. Keep the lawns mown, gardens tidy, make any obvious small repairs, keep curtains and blinds open and your property clean and free of clutter. 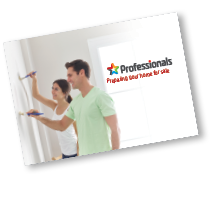 View our selling preparation checklist to help prepare your property for showing. A buyer’s expectation of price and a seller’s expectation of price are very seldom the same. In fact, there is very often a large gap between the two! That’s why a good agent is worth their weight in gold. It’s their job to close this gap in your favour and get you the best possible price for your house. To obtain a premium sale price, your agent will engage as many buyers as possible. Buyers will then tend to focus on out-pricing other interested parties, rather than trying to buy your house for as little as possible. A good agent will go beyond what an individual buyer is prepared to pay and negotiate towards what they are able to pay. They can greatly influence the final price you receive.